An antivirus program might not be able to stop ransomware attacks. You need a dedicated anti-ransomware solution to protect your data against ransomware. Free and commercial anti-ransomware programs are available for Windows operating system. 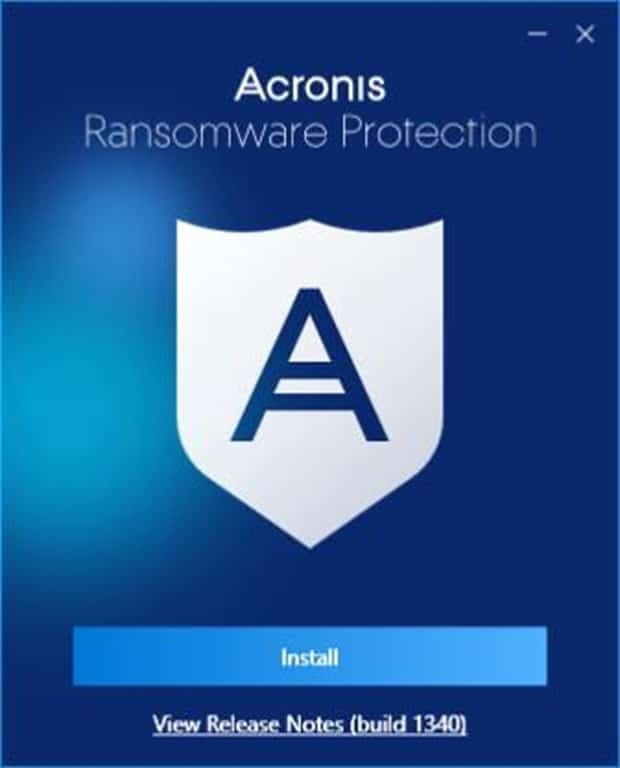 Acronis, the company behind the popular Acronis True Image data backup program, recently released a free anti-ransomware software called Acronis Ransomware Protection. Acronis Ransomware Protection is a free anti-ransomware for Windows 10, Windows 8/8.1 and Windows 7. The Acronis Ransomware Protection helps you stop ransomware from encrypting the data on your PC. According to Acronis, the Ransomware Protection monitors all running processes in real-time and blocks attacks by both known and unknown ransomware. If an unthorized process or program is caught trying to encrypt data, it immediately stops the program even before the process encrypts your data and alerts you about the suspicious program. And if ransomware manages to encrypt your data before its stopped, Acronis Ransomware Protection helps you recover your data. The home screen of Acronis Ransomware Protection sports a clean and easy-to-understand design. It shows number of running processes and suspicious processes on your PC. If you want to white-list a process or program, click the Manage processes link, and then click the Add an application button. Acronis Ransomware Protection also allows you upload up to 5 GB of data to Acronis cloud account for free. Yes, you will need an Acronis account to use this facility, but you will have to create an Acronis account to use and receive updates for Acronis Ransomware Protection. To upload a file or folder to Acronis cloud account, simply drag and drop the file or folder into the cloud backup section on the home screen of the program. 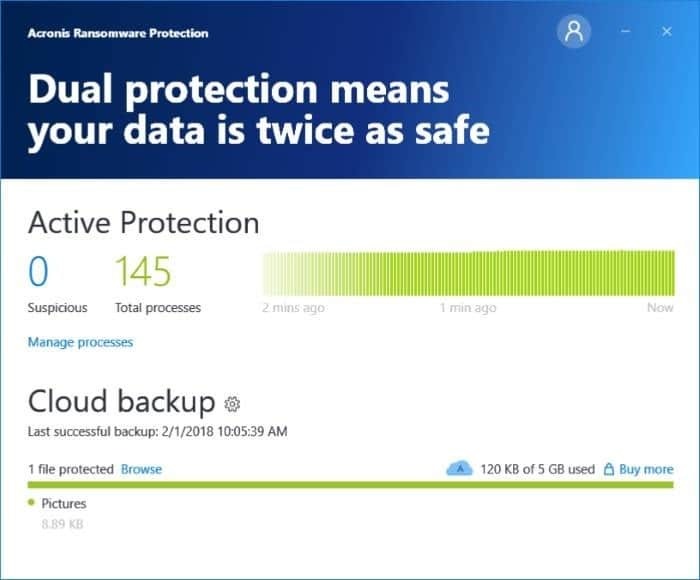 All files saved in your Acronis cloud account can be accessed either by clicking the Browse link in the cloud backup section or manually signing in to your Acronis account in a web browser. If you need more than 5 GB of cloud space, you can buy more space. Visit the given below link to download the latest version of Acronis Ransomware Protection for Windows 10. The program is compatible with both 32-bit and 64-bit systems.